It was December last year, Google human rights activists accounts in China were hacked by hackers who originated from mainland China. Few days later, Google-China debacle took a new turn when Google in a secret counter-offensive encounter managed to hack these Chinese hackers. It was successful in breaking into the source computer in Taiwan which was involved in these attacks. Google engineers also found out some evidence which indicated that the attacks were originally originated from mainland China and were possibly orchestrated by the Chinese government. After going public, and also announcing that other companies were attacked too, it became apparent that the Chinese were trying to steal trade secrets from US based companies. In the meantime, Google continued with its investigations to reach the den of the hackers. 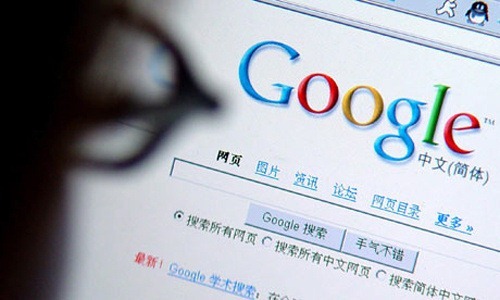 The New York Times in its report published a few days back, said that the recent attacks against Google and many other US-based companies have been traced out pointing towards two schools in China. Now in a new development, U.S. authorities were able to track down the man who wrote the code used in the hacker attack on Google. He is a freelance security consultant in China, and his discovery makes it even more difficult for the Chinese government to deny involvement. Although the security consultant doesn’t directly work with the government, but as a researcher, his work and findings would have been accessible by the Chinese government and its agencies. It’s a insignificant link without direct government ties and it’s still possible that someone else might have hacked the author’s work to get access to all his code. But given the scale of the attack, this possibility seems to be unlikely. to me dictatorial rule and despotism like in china should be treated like a viral outbreak: quarantine the patient (country) by boycotting every and all excnange with the free part of the world, and let the body (the people) fight the disease (oppressive government) by creating antibodies (revolutionairies and free thinkers). its been proven time and time again that oppresed people can only free themselves, and for china this is no different than it is for iraq, afghanistan, pakistan etc. google should just give china the finger and leave.